Should You Rent or Buy Your Retirement Home? Some active adult retirees prefer to have the security of investing in homeownership over the flexibility and freedoms which come with renting a home. When heading into retirement, many homeowners decide to downsize their living space or relocate to an entirely new location. If you’re a soon-to-be-retiree with a home to sell, you may be wondering whether it’s best to buy or rent in today’s uneasy market. Unfortunately, there is no magic answer which fits every retiree. There are many factors to consider before buying or renting your retirement home. For those with money to spend on a new home, the current market can be a great time to buy. 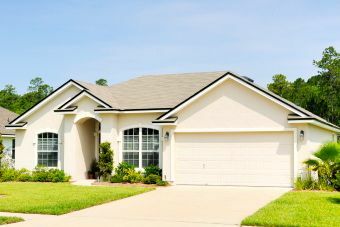 Homes today are generally much more affordable than during the height of the housing boom, including the homes in popular active adult communities. Homeownership also comes with several benefits. Primarily, ownership allows you to build equity in your home. Many active adults are comfortable with investing in their homes, and do not like the idea of paying monthly rent without having “something to show for it.” Homeowners are able to deduct mortgage payments during tax time, and are not limited by the rules of a landlord. However, owning a home also means paying property taxes, and being responsible for the home’s maintenance and general upkeep. Even in active adult communities where exterior home and yard maintenance is included with your HOA fees, you will be responsible for your home’s interior including appliances and other systems. When renting, all of the maintenance responsibilities lie with the landlord. Whether the sink clogs, the washing machine breaks down, or the air conditioning stops working, you simply pick up the phone and let the landlord arrange for the repairs. This can be a relief to retirees who would rather not spend their time worrying about home maintenance. Renting also gives retirees the freedom to pick up and move if they aren’t happy with their chosen retirement destination. This can be a great incentive to rent when relocating to a different state or region. By renting, even for a year or two, you can learn more about the area and decide if it’s a place where you really want to settle permanently. Yet there are some concerns to consider before renting a home as well. When you buy a home with a fixed mortgage, you can lock into a mortgage payment which will stay relatively the same (unless you refinance). Renting a home tends to be less financially stable. Your rent may go up over time, often every year or each time you renew your lease. Some active adult retirees prefer to have the security of investing in homeownership over the flexibility and freedoms which come with renting a home. Others are happy to rent their homes and enjoy feeling less invested in the place they choose to retire. The choice is a personal one, but exploring both options will help you discover the best way to arrange your own retirement.